A great way to spend the evening with family and friends floating down a beautiful Montana river enjoying the sights, having a shore side Gourmet Dinner on a scenic rafting adventure. 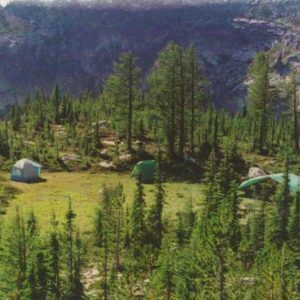 We use guide’s licensed by the Montana Board of Outfitters on all of our trips. 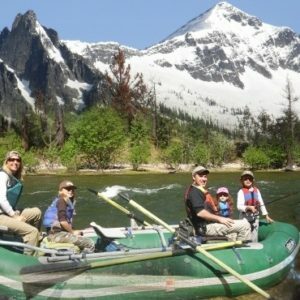 $450.00 The Sundowner Scenic: This is a sunset dinner float for 2 guests in the beautiful Bitterroot Valley from 3 pm to dusk. Trip includes shore-side dinner. Call for menu. 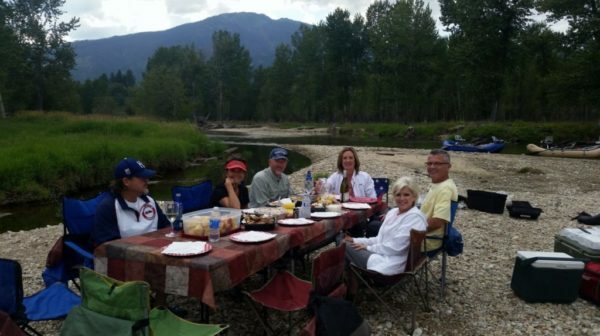 A great way to spend the evening with family and friends floating down a beautiful Montana river enjoying the sights, having a shoreside Gourmet Dinner on a scenic rafting adventure. We use guide’s licensed by the Montana Board of Outfitters on all of our trips. 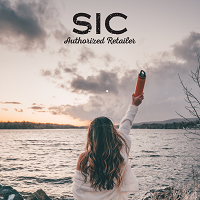 $450.00 The Sundowner Scenic: This is a sunset dinner float for 2 in the beautiful Bitterroot Valley from 3 pm to dusk. Trip includes shore-side dinner. Call for menu.